In Georgia, eat black eyed peas and turnip greens on New Year’s Day for luck and prosperity in the year to come, supposedly because they symbolize coppers and currency. Hoppin’ John, a concoction of peas, onion, bacon and rice, is also a southern New Year’s tradition, as is wearing yellow to find true love (in Peru and elsewhere in South America, yellow underwear, apparently!) or carrying silver for prosperity. In some instances, a dollar bill is thrown in with the other ingredients of the New Year’s meal to bring prosperity. In Greece, there is a traditional New Year’s Day sweetbread with a silver coin baked into it. All guests get a slice of the bread and whoever receives the slice with the coin is destined for good fortune for the year. At Italian tables, lentils, oranges and olives are served. The lentils, looking like coins, will bring prosperity; the oranges are for love; and the olives, symbolic of the wealth of the land, represent good fortune for the year to come. In Spain, you would cram twelve grapes in your mouth at midnight, one each time the clock chimed, for good luck for the twelve months to come. (If any of the grapes happens to be sour, the corresponding month will not be one of your most fortunate in the coming year.) The U. S. version of this custom, for some reason, involves standing on a chair as you pop the grapes. 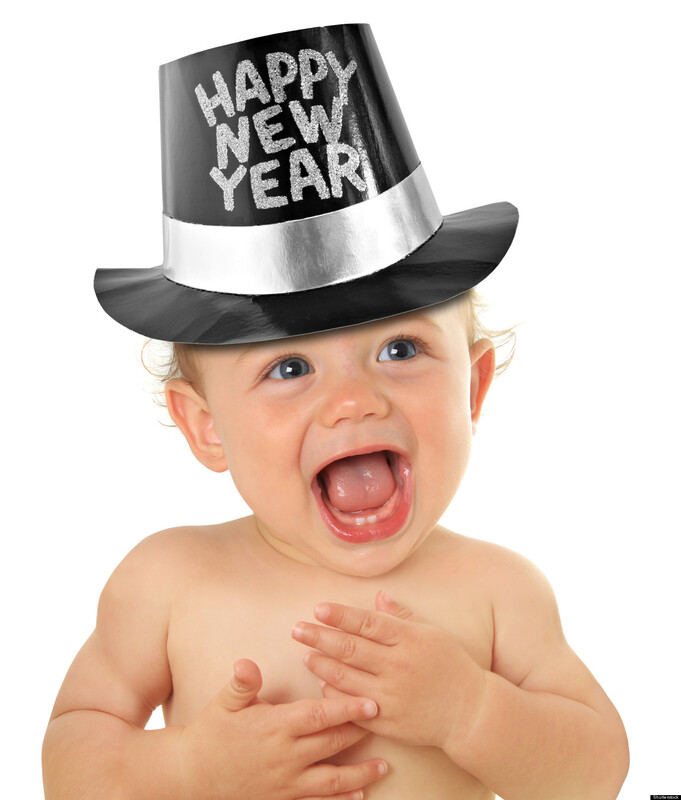 In Denmark, jumping off a chair at the stroke of midnight signifies leaping into the New Year. The crescent-shaped Copacabana beach… is the scene of an unusual New Year’s Eve ritual: mass public blessings by the mother-saints of the Macumba and Candomble sects. More than 1 million people gather to watch colorful fireworks displays before plunging into the ocean at midnight after receiving the blessing from the mother-saints, who set up mini-temples on the beach. When taking the plunge, revelers are supposed to jump over seven waves, one for each day of the week. This is all meant to honor Lamanjá, known as the “Mother of Waters” or “Goddess of the Sea.” Lamanjá protects fishermen and survivors of shipwrecks. Believers also like to throw rice, jewelry and other gifts into the water, or float them out into the sea in intimately crafted miniature boats, to please Lamanjá in the new year. In many northern hemisphere cities near bodies of water, people also take a New Year’s Day plunge into the water, although of course it is an icy one! The Coney Island Polar Bears Club in New York is the oldest cold-water swimming club in the United States. They have had groups of people enter the chilly surf since 1903. The Indian Diwali, or Dipawali, festival, welcoming in the autumnal season, also involves attracting good fortune with lights. Children make small clay lamps, dipas, thousands of which might adorn a given home. In Thailand, one pours fragrant water over the hands of elders on New Year’s Day to show them respect. banging on friends’ doors in Denmark to “smash in” the New Year, where it is also a good sign to find your doorstep heaped with broken dishes on New Year’s morning. Old dishes are saved all years to throw at your friends’ homes on New Year’s Eve. The more broken pieces you have, the greater the number of new friends you will have in the forthcoming twelve months. In Germany and Austria, lead pouring” (das Bleigießen) is an old divining practice using molten lead like tea leaves. A small amount of lead is melted in a tablespoon (by holding a flame under the spoon) and then poured into a bowl or bucket of water. The resulting pattern is interpreted to predict the coming year. For instance, if the lead forms a ball (der Ball), that means luck will roll your way. The shape of an anchor (der Anker) means help in need. But a cross (das Kreuz) signifies death. This is also a practice in parts of Finland, apparently. El Salvadoreans crack an egg in a glass at midnight and leave it on the windowsill overnight; whatever figure it has made in the morning is indicative of one’s fortune for the year. Some Italians like to take part in throwing pots, pans, and old furniture from their windows when the clock strikes midnight. This is done as a way for residents to rid of the old and welcome in the new. It also allows them to let go of negativity. This custom is also practiced in parts of South Africa, the Houston Press adds. In Colombia, walk around with an empty suitcase on New Year’s Day for a year full of travel. In the Philippines, all the lights in the house are turned on at midnight, and previously opened windows, doors and cabinets throughout the house are suddenly slammed shut, to ward off evil spirits for the new year. In Russia a wish is written down on a piece of paper. It is burned and the ash dissolved in a glass of champagne, which should be downed before 12:01 am if the wish is to come true. In Turkey, pomegranates are thrown down from the balconies at midnight for good luck. On a related theme, from earlier in the same week, here are some of the more bizarre Christmas rituals from around the world. Which of these customs appeal to you? Are they done in your family, or will you try to adopt any of them? 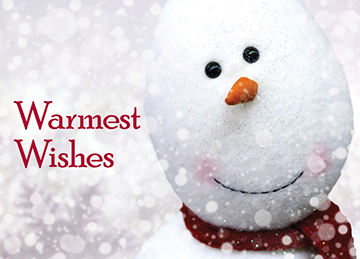 However you’re going to celebrate, my warmest wishes for the year to come… and eat hearty! Why Should Humans Save Them? Trying to say good riddance to a most horrible year — on top of its being a leap year, there’s going to be one last morose second tacked on right at the end. ‘If you’re lucky, you can live in a home where a hairy little household imp will help keep your kitchen clean, or a domestic god will grant you everlasting good fortune. So long as you keep them happy. 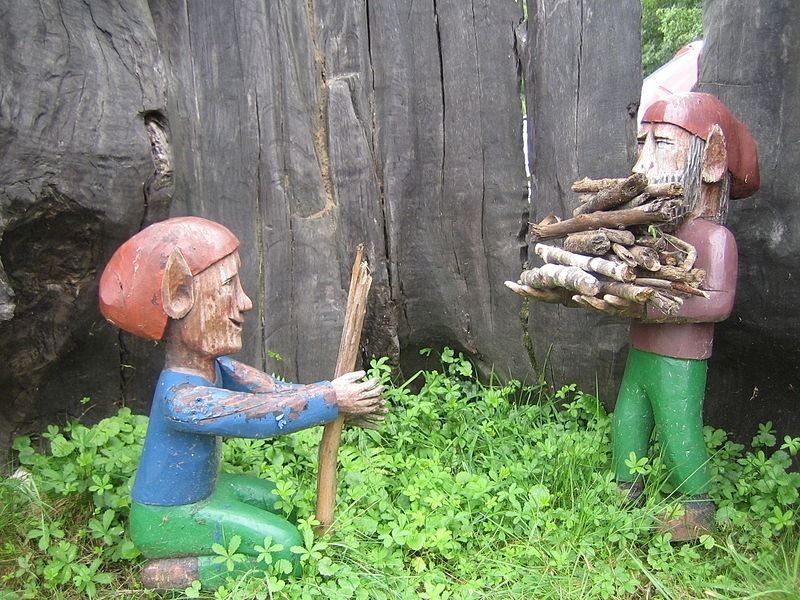 …But most such mythical creatures double as gods of fire and agents of chaos, so failing to tend to their needs can lead to missing items, broken dishes, and calamitous fortune. 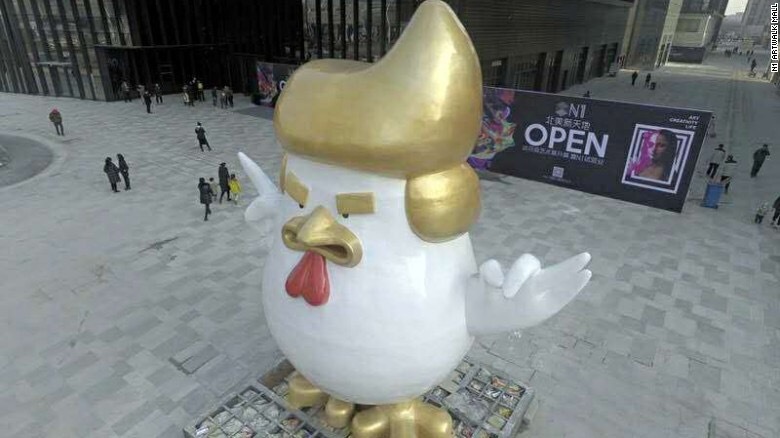 Beijing (CNN): What do you get when you cross the year of the rooster with the year of Trump?